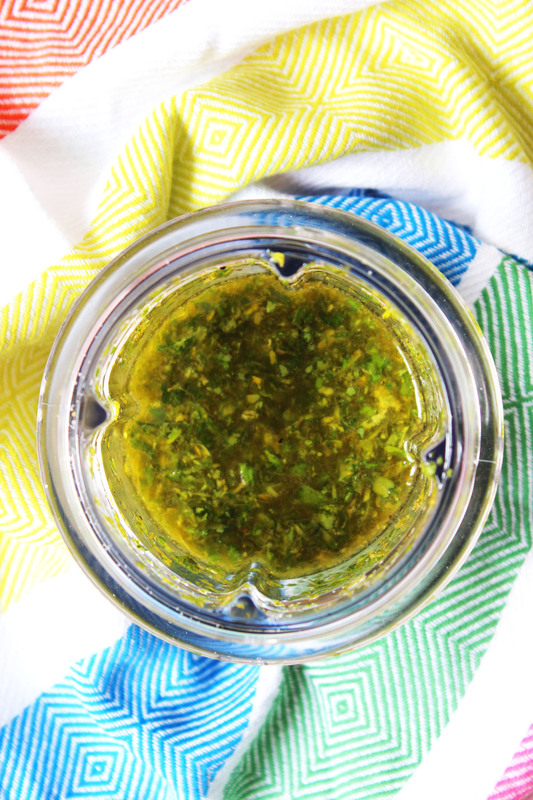 This simple Oregano Oil might not be the miracle cure you were after but it’s pretty damn tasty. Find out how to make it with serving suggestions below. I don’t think there’s anyone out there who doesn’t love oregano. Whether its used on pizza, Greek salad or even a roasting joint, oregano adds tonnes of flavour. It’s also a simple herb to grow which means you can always have a supply of fresh oregano to add to your dishes. It (should) survive all year round which means you can pick a leaf or two to add to dinner whatever the time of year. But if, like me, you find yourself with a wild and raucous oregano plant I have the solution for you! Why not make this simple but tasty Oregano Oil? A quick google of “Oregano Oil” and you’ll find all sorts of health claims. I’m no nutritionist but apparently Oregano Oil is full of vitamin K, antioxidants and is even an antibacterial?! All I’m worried about is how delicious this is. Sure, you could rub this all over your body but I think it’s better slathered on a lamb steak which has just been whipped off of the BBQ! If you can’t get your hands on any fresh oregano or find that you have a glut of marjoram or thyme then why not use them to make this oil instead? They are a fantastic substitute! Find out all you need to know about growing your own oregano, marjoram, thyme and other herbs here. It really is so easy to make this golden Oregano Oil that I feel a little bit cheeky calling it a “recipe” at all. But it’s so good I had to share it. As with any good dressing it starts with a good quality extra virgin olive oil, plenty of acidity from fresh lemon juice, a pinch of cracked black pepper and a healthy pinch of salt. I always find with oils and dressings like this that you need more acidity and salt than you might initially think. The oregano has such robust flavour and there really is A LOT in this recipe so you can afford to include a whole lemon and large pinch of salt. I would be careful and go easy on the pepper though. We want to keep this Oregano Oil really fresh and zingy! There are two ways of making this oil – the hard way and the easy way. I’ll start with the hard way…you have to chop the herbs by hand then whisk all the ingredients together. 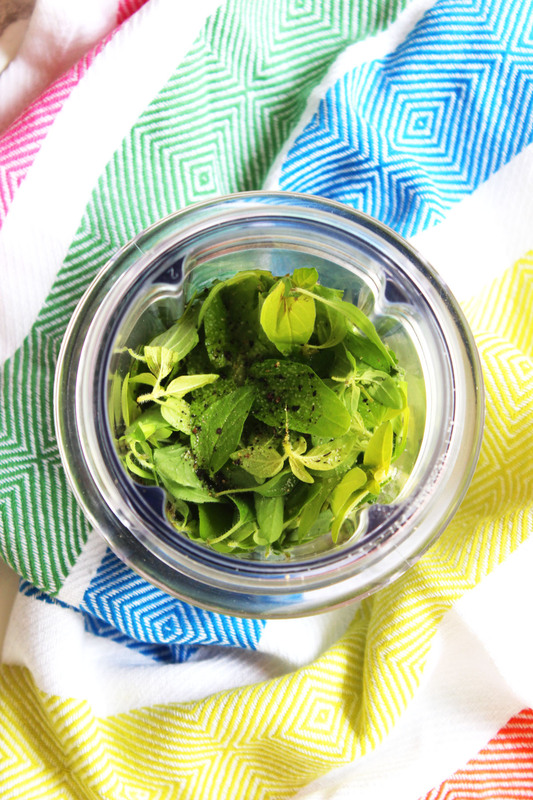 Put the oregano leaves into a small food processor along with the olive oil, lemon juice, salt and pepper. Pulse gently until the oregano leaves are roughly chopped and all of the ingredients are mixed. *these amounts should be the starting point. Add more lemon juice, salt and pepper to suit your own taste. I like my oil to lemon ratio to be 2:1. Let me know on the comments how you use yours! You’ll want to make sure you’ve got this recipe saved. Click below and add it to one of your pinterest boards. I can think of a dozen things to put this on – I think it’s a lovely recipe and I’m not calling it cheeky at all! 🙂 Looks fabulous! Haha thanks Debra 😛 Glad you like it!!! I adore this! I can think of 10 things right now that I want to drizzle (or pour) this over. Such a great way to season so many foods. Great post. Thanks Teri 😀 it’s just so versatile! Enjoy! I love oregano in many recipes, I am more than happy to make this oil at home.Thanks for sharing the recipe. That sounds so simple, but really full of flavour. I want to try it on halloumi kebabs. It really is the easiest of recipes 🙂 I’ve had to make 3 batches now because Jon is putting it on everything. Latest invention is a chickpea and oregano salad! What a terrific idea! I’d love it in all my homemade dressings! It might not be much of a recipe but sometimes the simple things in life are best. I’m sure the oregano adds tonnes of flavours to boring, plain oil! Hahaha gave me a good giggle though 😉 I know exactly what you mean! You gotta love the small food processors for quick chopping up of just about anything, it absolutely makes this nifty little recipe a quickie sure fire thing. Love it. I’m always on the hunt for adding homemade oils and pestos to simple food, so I love this.